Fossil Collection Is Yours General Or Focused On One Group Or Species? 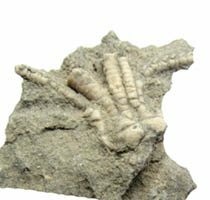 Is Your Fossil Collection Dinosaur, Arthropod, Mollusk Or All Of The Above? Fossil collections are as varied as the people who collect them. One question to ask yourself is will my collection be general, including many species, or focused on one particular phylum, order or family. The appeal of the ancient is so intense, that you could go on a collecting frenzy! You might want your collection to include a broad variety of animal types and species. If this is the case, you could begin with a “pre-packaged” collection. There are lots of these “already made” collections available. As we are in the process of reviewing all the fossil packages we can find, what we can say at this time is that the variety is endless. Some packages contain colorful, detailed timelines. While these packages tend to be a bit more expensive, they do have a deeper educational appeal because you can place your fossils right on the timeline to see the period in which they lived. We can recommend the fossil collection at the link below because we designed it! It’s the quality of the fossils themselves that we think “makes or breaks” the value of the collection. 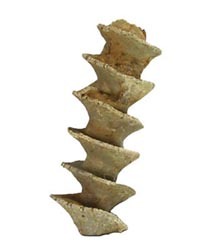 Years ago, when we were first teaching about fossils, we found an inexpensive collection at a local natural history museum. The value of this collection was, and still is, that the fossils were all collected from the area in which we lived. Over time, as we got more and more into our own fossil collecting, we found that the specimens included in that kit were not that impressive. First of all, they were REALLY small specimens. Also, many of the specimens were just fragments of the original creature. So, while I could share these tiny animals as former occupants of our neighborhood, they simply didn’t impress. If you are starting a collection with a child, real-looking species are a MUST! They will care less for the timelines (and their imagination of time past will take them to places we can’t go anyway!) and more for the real thing that’s in their hands. Look for large specimens with detail. Since that time, we have found VERY affordable specimens of similar species that are large enough to SEE the detail of the animal’s body. Granted, the smaller specimen examples don’t come from the same location or era--they are much older, but when it comes to children and fossils, this is less of an issue for me as a teacher. Holding a three-inch-long trilobite with plenty of detail is simply more exciting than a piece of a tiny one. The situation is this: trilobites lived on the Earth for a LONG time: several million years, spanning geological periods from the Cambrian to the Permian. So, when my desire was to spark the enthusiasm and imagination of a child in my class, the time period of origin and specific age of the fossil didn’t really matter to me. What really mattered was the awe-inspiring nature of a big trilobite, whose buggy eyes popped right out of its cephalon, whose thorax ridges were deep enough for little fingers to feel, and whose characteristic three lobes are prominent enough to make the name, TRI-LOBE-ITE, have some REAL meaning. There would be time enough later for the smaller, refined details! Some animal groups lend themselves to being the sole member of your collection. If you find yourself looking for examples of that one animal fossil that you love more than all others, this kind of collection just might be for you. Some species just lend themselves to collection. One reason for this could be their vast numbers when they lived on the Earth, making the availability of fossil specimens fairly easy. Another could be the widely varying locations in which the fossil can be found today. Many fossil specimens were laid down when the continents were configured very differently. Ancient seas covered vast areas that today are dry land and filled with the ancient sea creatures that once lived in those waters. Large species variation can be another consideration for availability. Like our modern insects, some ancient animals had thousands of different species. The variations can be amazing and awesome. We know of several collectors out there, whose love of trilobites has them seeking species from all over the planet. (Have you gotten the idea from my examples that I could be among them?) Trilobites were prolific! They lived at a time when our continents were connected and much of the Earth was covered by ancient seas filled with trilobites. Trilobites can be found all around the globe today. Perhaps more importantly, you can find them yourself if you look in the right places. I recently took my class on a short excursion to an area that was once covered by an inland sea. The shale was everywhere! One of the students casually brought a piece of it and asked if the imprint it carried might belong to the same animal on the information placard we were reading! So, you’ve got some options to consider. Don’t delay another minute. When you start your journey into the realm of fossil collecting, you’ll be joining a group of fossil collectors that has included the likes of Hippocrates, a fossil collector more than 2000 years ago!